Ok...so...it's fall and my birthday is this week...and...and...I went a little nuts. Nuts...ier? 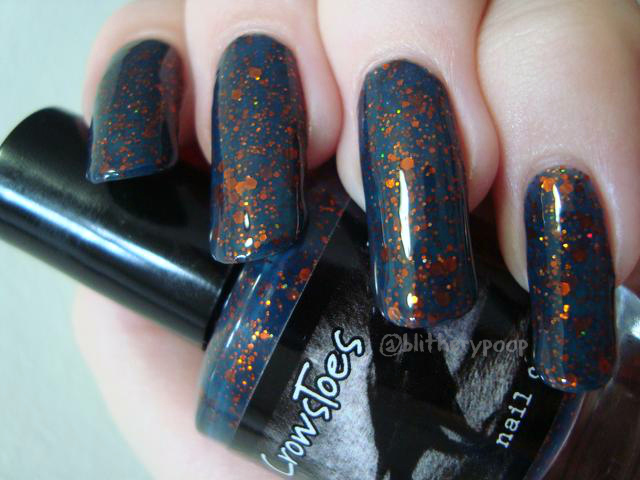 I'd been sulking over one of the Llarowe A Box, Indied shades since before the box went up for sale. The box sold out fast and I started seeing that polish on Storenvy...also sold out. Then one night about a week ago, there it was. I couldn't resist. I went for it! Splurged! What better polish to wear to ring in my favorite season!? Finnnally, It's HOODIE TIME!! 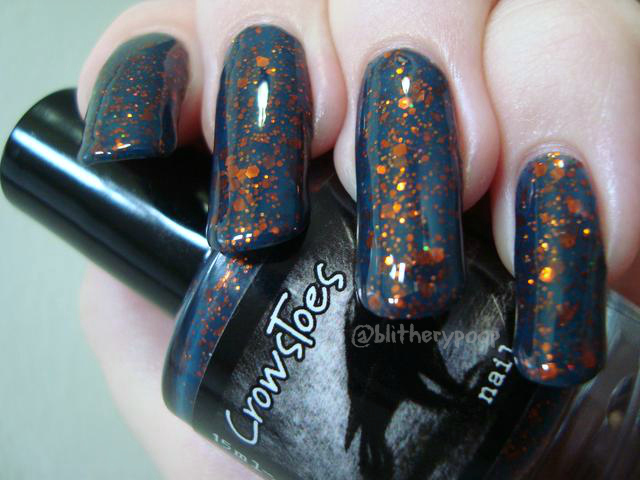 has a three sizes of metallic orange hexagonal glitter and tiny gold holo glitter in a blue-gray jelly base. The blue and orange was inspired by Syracuse University colors. I'm not into college sports, but I love the contrast anyway! I don't have anything else even sorta like it. It applies pretty well for something with glitter. This is three coats. It took a lot of smoothing though. I needed a couple of coats of Gelous and a couple more of NYC Grand Central Station. 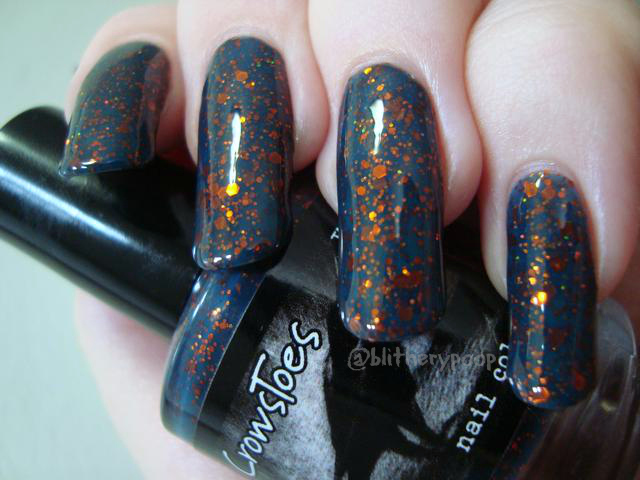 It's one you wanna be sure to get glossy, because the holo twinkles add a little special something extra. They're not in-your-face, just enough to add interest. Gotta treat yourself sometimes, right? What was your latest splurge? This is pretty unique! How lovely. I really love how Indie polishes aren't afraid to get out of the trendy box. And I splurged this weekend on Halloween decorations. This would be great for halloween!